Protectorseal is a totally seamless fibreglass reinforced resin system, available in a wide range of colours, sheens and finishes. It is hard wearing and able to withstand the rigours of high pressure cleaning. 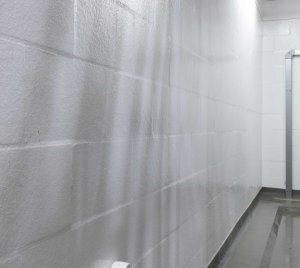 Protectorseal is virtually maintenance free, chemical and impact resistant, making it ideal for hostile or difficult environments. 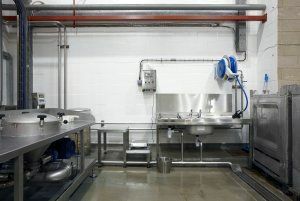 Protectorseal is used in hygiene sensitive areas where a high quality steam cleanable finish is required; particularly food processing and preparation areas, food and drinks manufacture and the pharmaceutical industry. When applied to a non-combustible surface it conforms to Class 1 and Class 0 Spread of Flame and complies with the latest European health and safety standards and regulations.